Here are this morning's Axxess results, which featurned a number of PROGRESS and WWN talent defending their titles. War Raiders (formerly War Machine) came out and interfered for the disqualification. Elias came out for a live performance. - Shayna Baszler defeated Dakota Kai to retain the NXT Women's title. LeRae defeated Kay by submission. Sullivan pinned Lee with the freak accident, then laid him out with two more after the match. - Austin Theory defeated Marcel Barthel to retain the WWN title. Dunne pinned Rush with the Bitter End to retain. 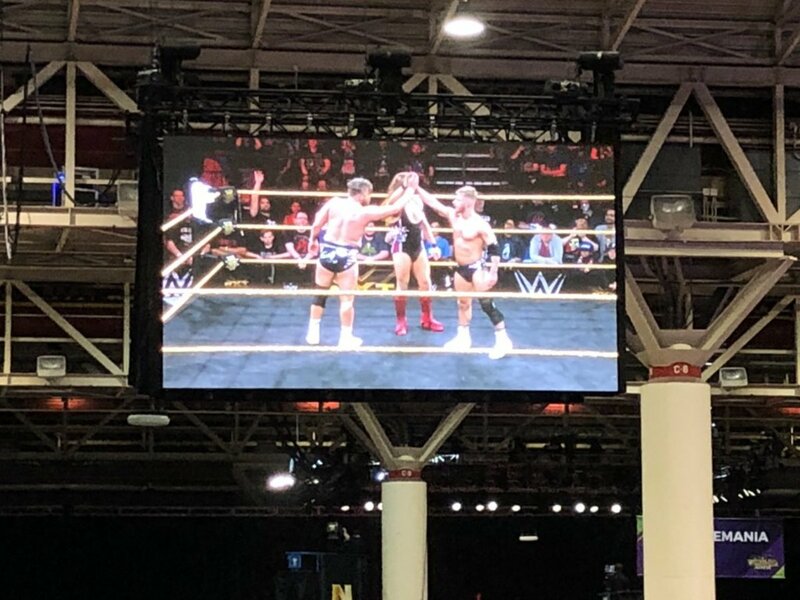 - Roderick Strong and Kyle O'Reilly defeated Moustache Mountain (Tyler Bate and Trent Seven) to retain the NXT tag team titles. All of Undisputed Era ran down to the ring after the match for a beat down on Bate and Seven. Pete Dunne ran in for the save and drove them off. The trio posed together after the bout. - Travis Banks defeated No Way Jose to retain the PROGRESS World title. Before the main event, there was a Q&A section with the Bella Twins. - Adam Cole defeated Akira Tozawa to retain the NXT North American title.